Origins is a recurring new music feature in which an artist charts the influence of their latest hit single. Aaron Livingston introduced the world to his soulful musical persona Son Little back in 2014 with his Songs I Forgot EP, which he followed with a self-titled full-length the following year. Over the next two years, he saw his star and recognition steadily rise, hitting the road with Leon Bridges, Mumford & Sons, and Shakey Graves while also playing standout sets at festivals like Newport Folk Fest. He even took home a production Grammy for his work on Mavis Staples’ rendition of “See That My Grave is Kept Clean” from her 2015 EP, Your Good Fortune. What was missing from all that success, however, was time alone to sit down and get back to writing songs. He was inspired by his new experiences taking on stages all over the world, but needed intimacy to get those thoughts down as fresh music. That intimacy came when he finally had a few hours off while touring Australia’s Northern Territory, unhurried under the clear starry sky. That magical place sparked the writing process for his forthcoming sophomore album, New Magic. Coming vis Anti- this Friday, September 15th, the album is today being previewed with a new single called “O Me O My”. The track is, as Son Little tells Consequence of Sound, “a mediation on the anxieties of the modern world.” Though its lyrical focus is on the struggles of today, the sound is pure throwback rhythm and blues — with just a hint of a modern tango swaying beneath it all. Take a listen below. To help explain the vibe and theme of “O Me O My”, Son Little has contributed a playlist of inspiration for our latest edition of Origins. Take a look below to learn what led to the sound of the new track. I look at “O Me O My” as a kind of dystopian R&B song; a mediation on the anxieties of the modern world. I love science fiction usually, but i think I have Mars fatigue. It seems like some folks are obsessed with the idea of colonizing Mars, as if colonizing another planet would somehow save this one. Seems like a real cop out. There’s a couple of places on New Magic where i went for a tango vibe; couldn’t tell you why. I don’t really play accordion, but I tried to emulate that sort of sound and the rhythmic feel of a classic accordion player for the verses in “O Me O My”. The song is both very serious and very playful at the same time and I think that tango accordion-esque part is a good example of this. One of the ways I entertain myself while making records is by figuring out ways to take old forms of music and mess them all up. There’s no direct musical information borrowed from the tune, but one of my goals with this song was to imagine a classic soul artist like Ray Charles writing an anxious, paranoid, anthem, standing at the edge of the apocalypse. I’m very much obsessed with proverbs and folk wisdom. It’s interesting for me to think about how certain words or phrases came about and why some stand the test of time while others fade. 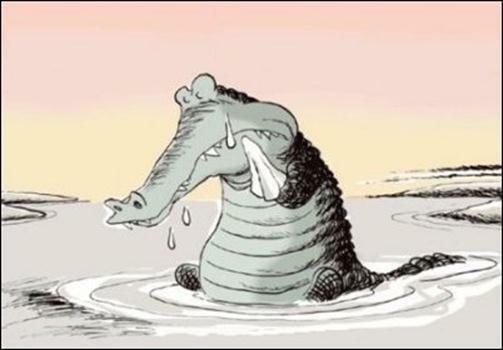 “Crocodile tears” is one of those that has stuck. “Feel the pressure on my neck/ It ain’t no crocodile tears in my eyes.” I felt like it was the perfect phrase to drive home how real the struggle actually is.